Google AdWords has today officially released Keyword Planner, a new feature set to replace the existing AdWords Traffic Estimator and Google Keyword Tool. Keyword Planner is intended to combine these items, which Google hopes will make the process of creating new campaigns and ad groups significantly easier. Google says the Keyword Planner is intended to be clearer and more structured than the Traffic Estimator and Keyword Tool, which were designed to be general purpose tools with multiple functions. Now, Keyword Planner will walk users through the process, which should make it considerably simpler to find worthwhile keywords which are likely to bring success. After choosing one of these selections, users are given several options regarding the planning of potential keywords. Keywords can be entered manually, or chosen from a list of suggestions either by product category or landing page. By providing the URL to a landing page on your website, the tool will scan the page and suggest relevant keywords through what it discovers. Alternatively, searching by product category provides an extremely long list of potential keywords which are known to be relevant to the selected industry. 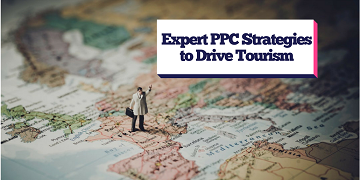 Average cost per click (CPC) - Offers the chance to ensure that keywords are either included or excluded, depending on their average CPC. Filter by Keyword - Ensure that specific keywords are included or excluded. Keyword Competition - Exclude or include keywords depending on the level of competition this keyword holds. For example, a small business may wish to exclude high competition keywords. Estimated Search Volume - Manage the minimum and maximum search volumes of the campaigns keywords. Once a business has a list of campaign keywords, a further change will be to the way they establish a PPC budget. By entering a bid and a daily budget for the campaign, using the 'Get Detailed Estimates' button provides details of how many clicks and impressions are predicted for that keyword at their current level of spend, as well as the overall daily cost and the predicted keyword rank. Google believes this should make it clearer to businesses exactly how much they are spending. A further change being made is intended for marketers who wish to ensure they cover a wide range of keyword variations. Users are presented with three boxes, in to which they can input keyword information, which is merged to form as many potential keywords as possible. To use a company which sells t-shirts as an example, the first box could contain sizes such as small, medium and large, while the second box contains various colours and the final box containing all the different possible words people may use for a t-shirt. Pressing the 'Get Estimates' button would then create as many keywords as possible using this information, providing details on which of these would be the most useful for PPC. Natalie Booth, head of search at theEword commented: "We have already seen the introduction of Google AdWords enhanced campaigns, and this is the latest example of how Google is looking to improve their AdWords service. It will be interesting to see what impact these changes have on PPC, and whether the process is indeed streamlined and made easier as intended. It certainly appears as if keyword research will become a simplified process, something which will be a boost to many businesses."